UST Class A Operators have primary responsibility for on-site operation and maintenance of a UST facility. This individual is generally the owner of the station or the designee. For large corporations, this person is the manager or designee responsible for tank operations. UST Class B Operators have responsibility for the day-to-day aspects of operating, maintaining, and record keeping of a UST facility. This individual (or individuals) is generally the owner or the person/company contracted by the owner to maintain the tanks. For large corporations, this person is the employee, or person/company contracted by the corporation to maintain the tanks. UST Operator Training is required by federal law and is to ensure that owners and operators of underground storage tanks understand how to operate and maintain UST systems properly. As mandated by the EPA, all UST operators must be trained as ofy October 13, 2018. Class C - 1hr only $10! UST training is required by federal law and is intended to ensure that those who own and operate underground storage tanks understand how to operate and maintain UST systems properly. As required by the EPA, all UST operators (Class A/B & C) were to be trained by October 13, 2018. 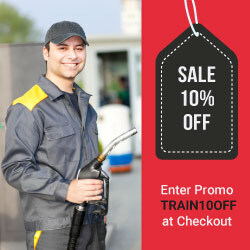 Key ust terms: ust,ust training,ust certification,ust operator training,ust facility,ust class a,ust class ab,ust class b,ust class c,ust course,underground storage tank,epa compliance, state-approved,ust education,usttraining,ust refresher,ust course,training,certification, pei,petroleum equipment institute, nacs, convenience stores, refresher, petroleum storage tank division, ust program, ust compliance, ust system, ust state requirements,lust,leaking underground storage tank.